Personal nature Expenses i.e. Telephone Calls, Laundry, Soft / Hard Drinks Meals, Tipping etc. Camera Fee at. You will be received at Airport/Railway Station/Bus Stand and transferred to Hotel. For the panoramic view of the Pinkcity by sunset, we take a trip to Nahargarh Fort, evening leisure on your own Overnight at Jaipur. To have close look on religious aspect we take an early morning trip to the old city Jaipur which covers the patron deity of Jaipur - Sri Govind Devji along with Temple of Tarekeshwarji. After breakfast set out for full day sight seeing of Jaipur. 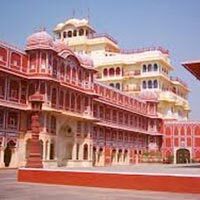 visit Amber fort, Shila Mata temple and Kali temple at Amber and after lunch visit Jantar Mantar, City Palace, Hawa Mahal. Overnight at Jaipur. 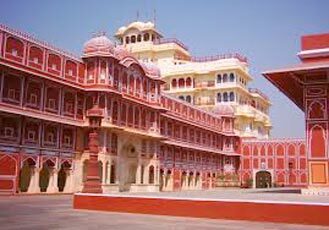 Leave Jaipur for Udaipur, enroute we visit Ajmer & Pushkar - both the places are major religious center for Muslim and Hindu Pilgrims respectively. We visit famous Dargah of Khwaja Muin-ud-din Chishti at Ajmer & World only Lord Brahma Temple at Pushkar. Later we proceed to Udaipur, upon arrival check in at hotel. By the sunset we take boat ride over Lake Pichola experience of which is beyond any comparison. Overnight at Udaipur. Rest of the day free for shopping. At the time of onwards journey, you will be transferred to Jodhpur Railway Station (Tour End). * Rates are subject to availability. * Rates can change without prior notice. note: "Each clients travelling in India or abroad has to ensure they carry all the related travel documents like valid passports, visa or other valid ID and address proof. Due to lack of any of these documents no hotels will allow check-in. We will not be responsible for any such kind of lose in services and full retention will be charged".